This entry was contributed by Margaret Henderson on March 11, 2016 at 1:45 pm and is filed under Group Process, Leadership Development, Organizational and Personal Leadership. Anyone who manages volunteers (or staff) has likely had to balance the needs and interests of the individual against the needs and interests of the organization. There are no indicators that challenge is going to get any easier or less frequent given the “seismic shifts” identified in The New Breed: Understanding and Equipping the 21st Century Volunteer. The authors are youth ministers who are adapting their strategies of engaging volunteers in response to the generational and technological shifts we are all seeing. This post will emphasize five of these identified shifts because of the challenges they present to both the time management of the volunteer coordinator and the task of keeping volunteers aligned towards the achievement of a particular goal. 1. Flexibility: From rigid scheduling to volunteer availability. Rather than being recruited to fill defined roles, volunteers want to be able to define how and when they work. 2. Generations: From experienced veterans to novice Gen Y. “Loving what I do” trumps “making a big salary.” The New Breed is tech-savvy and holds different views of what “appropriate” dress/conduct/outcomes or “success” are. 3. Professionalism: From skilled workers to knowledge workers. Knowledge workers want to be empowered to make decisions. 4. Episodic Volunteering: From long-term commitments to short-term projects. Time constraints make short-term projects more attractive. 5. Speed: From slow movement to fast responses to change. All reactions are expected to happen on a fast time-line. Most nonprofits and many governmental efforts rely on volunteers. These trends are as likely to apply to members of a governmental advisory board as to a mentoring program. 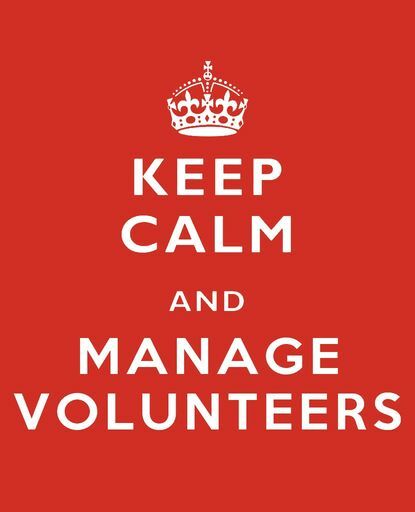 Neither type of public organization is likely to have staff who solely focus on the care and nurturance of volunteers. There are generally many other responsibilities written into those job descriptions. While these seismic shifts have many implications for the dynamic with public volunteers, one big challenge is this: If an organization has carefully defined standards, how can it also be flexible enough to meet these highly individualized expectations? Doesn’t want to simply make a contribution; they want to make a difference. Doesn’t want to be micro-managed. Well, this should be interesting…. This entry was tagged with the following terms: generational, leadership, supervision, The New Breed, volunteer. In case you are interested, these are the remaining five “seismic shifts” identified in The New Breed. Both our definition of “family” and the roles of individual family members have changed. 2. Technology: From face-to-face to cyberspace. Virtual volunteers are a possibility now. 3. Isolation: From community to individualism. Americans report having fewer significant face-to-face relationships. Technology enables relationships across geographical locations. 4. Micro-Volunteering: From big-time commitments to bite-sized projects. Enabling participation via actions that can be taken on smartphones. 5. Slacktivism: From hard work to easy, “feel-good” tasks. Examples of “slacktivism” include signing internet petitions, wearing wristbands with political messages, making an issue-oriented tweet or post, or donating with a click of your mouse.